Wander away from the downtown St. Louis riverfront and you’ll eventually see it. Just south of the Gateway Arch, as the manicured bike paths fade out and the vacant building shells take over, there’s a flood wall covered in graffiti. It’s not on most visitor maps, but it’s special to St. Louis. Every year, local and international artists convene to legally tag the 1.9-mile Kosciusko Graffiti Wall with symbols and thoughts about life’s difficulties and joys. It’s a colorful celebration of culture that, for some, is akin to a religious experience. Two Saint Louis University professors would agree that’s exactly what it is. Lee and Lindsey consider the Kosciusko Graffiti Wall to be one local example of lived religion. 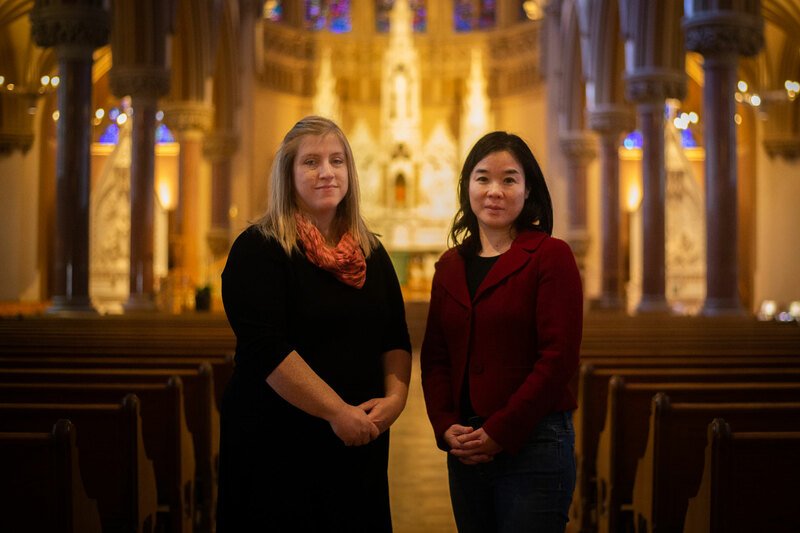 Pauline Lee, Ph.D., and Rachel Lindsey, Ph.D., are exploring where people experience religion in the St. Louis region and are in the process of creating a digital map and database to show what they’ve found. But in addition to the churches, temples, mosques and other houses of worship one might expect on such a list, the professors also are looking at locations that aren’t traditionally thought of as religious. The Kosciusko Graffiti Wall is included on the professors’ map, as are the Saint Louis Art Museum, the Missouri Botanical Garden and the Saint Louis Zoo. That’s because Lee and Lindsey are interested in “lived religion” – experiences and rituals beyond the anticipated – and exploring what it might mean for St. Louis’s future. “Religion is not just this idea up here. It’s so much messier and so much more interesting in reality,” Lee adds. Lee, with a background of researching and teaching Chinese religion, and Lindsey, a historian of religion in the United States, recently received a $400,000 grant from the Henry Luce Foundation to collaborate on a digital database of religion in St. Louis. When they’d first met at SLU, Lindsey was teaching a lived religion course and Lee was teaching a course on world religion that emphasized field work – instructing the students to check out mosques and temples in St. Louis. 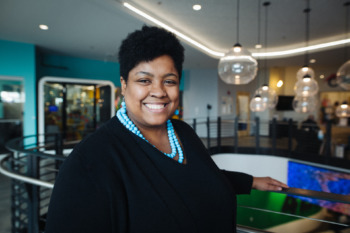 After learning of the Luce Foundation grant, Lindsey says they realized it was an opportunity to take the momentum they’d been building in their classes and think bigger – to have an effect not just in the world of academia, but to be of use to the city and invite more open conversations. 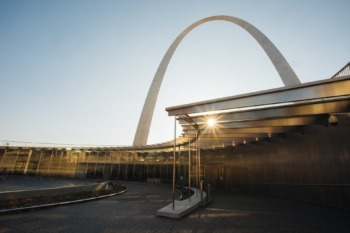 The professors have found lived religion in unexpected places, including in the Saint Louis Art Museum, at the Kosciusko Graffiti Wall and in the Ganesha statue at the Saint Louis Zoo. “The Jesuit mission gives us the flexibility and the freedom to really sink our teeth into these big, meaty questions about religion and public life,” says Lindsey, noting the university’s founding principles. 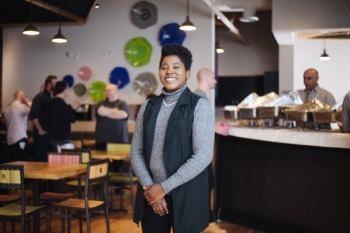 Through their courses and their research, Lee and Lindsey learned of a stereotype that asserts that St. Louis is homogenous when it comes to religion. But the professors have found that the opposite actually is true. From the small statue of the Hindu god Ganesha at the St. Louis Zoo, to “Jesus Saves” tagged on the Kosciusko Graffiti Wall, to the temples, mosques, meditation centers, churches and cathedrals, Lee and Lindsey assert that St. Louis is extraordinarily diverse in religious ideas. Even the Saint Louis Art Museum is an example of lived religion even though most people who visit would not say they’re there for a religious experience, Lee says. Lee and Lindsey received a grant to create a digital database of lived religion in St. Louis. Once you’ve heard religion in these terms, it’s impossible not to notice that Lee and Lindsey are right – religion permeates St. Louis in unexpected ways. According to Yelp, St. Louis is No. 2 in the nation as a destination for food lovers, and in this foodie city, there are many intersections between food and religion. St. Nicholas Greek Orthodox Church in the Central West End hosts a packed Greek festival every Labor Day weekend, serving up gyros, baklava and more for over 100 years. And musician Zach Sullentrup recently tweeted, “An extremely St. Louis statement: I just got caught in fish fry traffic,” referring to the region’s abundance of Lenten dinner events. Lindsey thinks that it’s the right time to begin these conversations and examine lived religion in St. Louis as it is now, as it was in the past and how it might pertain to the region’s future. Lindsey, Lee and artist-in-residence Lauren Pond plan to host their first exhibit on lived religion in St. Louis in 2019 and are asking local residents to share their own examples at religioninplace.org. After gathering more information, the professors intend to launch a digital map and publicly accessible database of their findings. See some of the surprising locations, objects and rituals that Lindsey and Lee had previously catalogued.